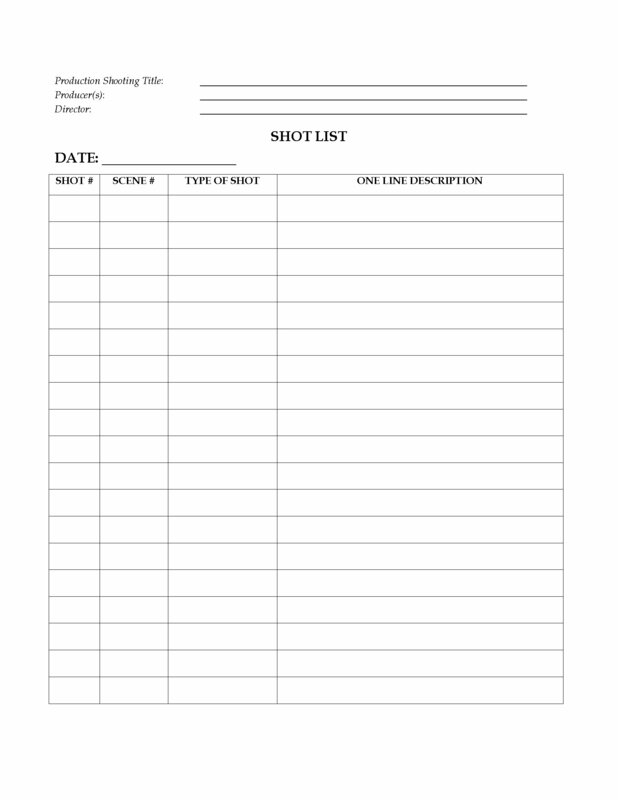 The Shot List Log works great as a pre-printed form. 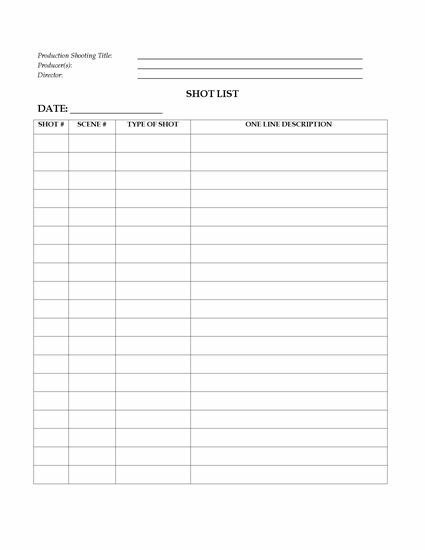 Print multiple copies and fill them out by hand. Or fill in the digital form on your laptop or tablet.